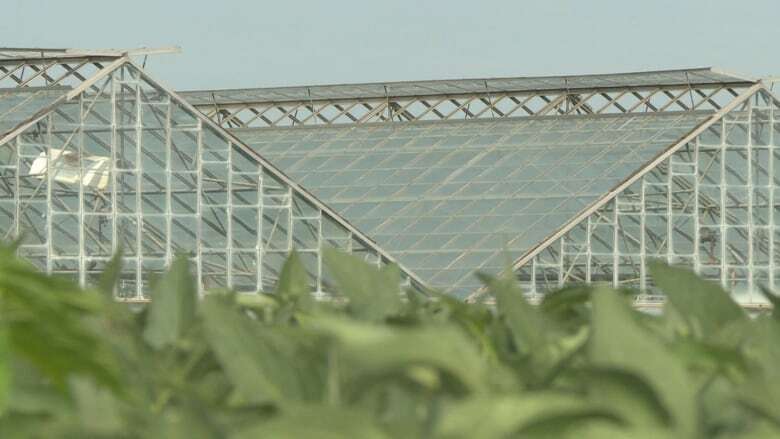 Abuse, racism and harassment are part of the daily lives of some seasonal farm workers who come every year to harvest in Ontario greenhouses. Three of them, Mexicans, agreed to give us an exclusive interview on condition of anonymity. Every year, thousands of foreign farm workers come to Canada for eight months as part of the seasonal worker program. Since 2017, the federal government says it is intensifying its inspections on farms where these workers are hired to ensure their proper treatment. 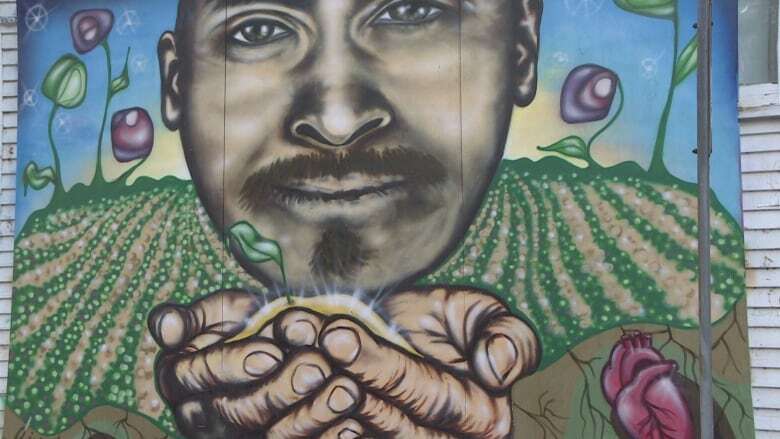 Nevertheless, the situation is still far from ideal, according to three Mexican agricultural workers employed in Ontario who agreed to talk to us. Sitting in a circle, Francisco, Rodrigo and Juan tell their stories after a long day of work in greenhouses in the Leamington-area of ​​Ontario. At the workers' request, CBC News granted the men anonymity because of fears of reprisal from their employers — up to and including the loss of their jobs. 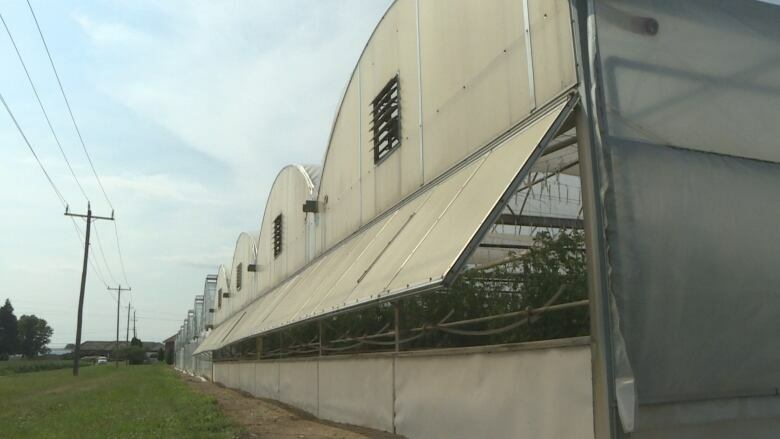 The three men are fathers of families who've decided to come and work in Canadian greenhouses and farms. They're hoping to earn a better salary and offer a better quality of life to their children who remain in Mexico. The money they accumulate in Canada is sent home so that their families can live better. Francisco, in his forties, is in his thirteenth season. The Canadian dollars he has raised for years serve to provide his three children with an education so that they can have an easier life than his own. 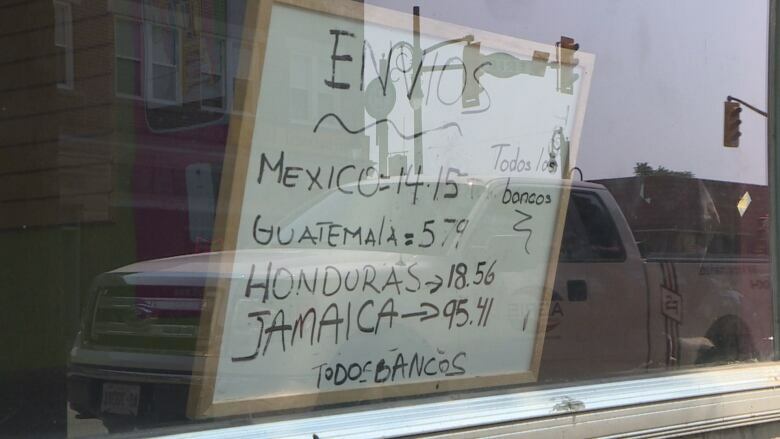 "There is a big difference in the monetary value between Canada and Mexico," said Francisco. They are farm workers with several seasons behind them. Despite the hard physical work and long days, they report having had good work experiences and good relationships with their employers, except this year. Our three sources report that on farms where they worked, pesticides are applied in greenhouses two or three times a week. They claim they are forced to handle vegetables covered with chemicals without being entitled to protective equipment like the people who are spraying the pesticides. "I feel that I have headaches, sometimes, that I did not have before. I do not know if they come from this or that thing. But I imagine that taking up so many pesticides while working in the greenhouse in a closed place that does not help," said Francisco. Juan and Rodrigo attribute headaches, but also burns in the throat and skin irritations, to pesticides they breathe in during their working days. According to Rodrigo, even if they complain to their supervisors, they demand that they continue to work. This refusal to listen to them adds to a system of productivity where the names of employees are displayed every day on a screen that ranks the level of productivity of workers, say the three men. It is a system that is based on the pressure to always produce more, regardless of the performance of seasonal workers. "If you give them 80 per cent, they want you to give 90 per cent. And then more than 100 per cent," said Rodrigo. According to CBC's sources, every day, people who are at the bottom of the list are suspended without pay for a few hours or a few days sometimes. In early July, Rodrigo had to be hospitalized for a few days because of a kidney stone. The man had to sign alone, without understanding, the forms related to his hospitalization and the surgery he underwent. Upon his release — although an intervention like the one he received requires a few days off — Rodrigo said his supervisor demanded that he return to work immediately. He said that when he refused, and explained that he had to rest for a week, the managers of the farm where he works bought him a ticket for Mexico, four months before the end of his contract. Leamington is home to so many Mexican workers that their government has decided to open a consulate there. According to the consulate, by 2018, nearly 3,800 Mexican workers have come to work in the Essex-Kent-Lambton area, a number that is increasing year by year. When our sources were asked why they did not use the Mexican consulate, the workers explained it did not help the workers very much. "I spoke to them once, and they did not support me. They told me [that the management] had the right to send me back to Mexico because I did not respect my contract [by not working after my surgery]," said Rodrigo. For his part, the Mexican consul in Leamington, Alberto Bernal Acero, explained that the consulate is aware that some employers exploit Mexican workers. He said there is an intervention when he hears about abuse. "Sometimes [we resort to] negotiation to solve the problem ... In other cases, the employer, the supervisor or both are not reasonable and they are not willing to change their habits. In these cases, we are taking more serious steps, such as taking workers out of the farms and helping them fill out a report with the Canadian Labour Ministry. In the worst case scenario, the farm could be excluded from the program and could no longer accommodate migrant workers," said Acero. "This year, the cases we have heard about have been resolved. Farmers understand the importance of treating their employees well. This does not mean that such stories do not exist without our knowledge," he said. According to Acero, several employers treat Mexican workers whom they welcome as members of their family. When our sources spoke to us, they explained that workers who are abused are afraid of retaliation if they complain, and that is why they wanted to speak out under the guise of anonymity. According to Chris Ramsaroop, organizer of Justicia for Migrant Workers, the foreign farm worker program is needed, but needs to be rethought to fill some of the gaps that make workers vulnerable. "The program works in a grey zone and because the workers who come are tied to the employer who brings them in, they are afraid to exercise their rights and not be able to work in Canada if they do," said Chris Ramsaroop, organizer of Justicia for Migrant Workers. For Johanna Dennie, who works with Legal Assistance Windsor and frequently helps temporary foreign workers, there are several gaps in the program. "I do not know if I can pick one, but the fact that the work permit is closed and the lack of access to permanent residence [for workers who come back year after year] are the two problems that come to mind," she said. Dennie explains that since the presence of workers is closely linked to the employer's willingness to receive them, they are more vulnerable if they are abused by their employer. According to her, for fear of losing their job and being sent back to Mexico, many do not dare to denounce the mistreatment they suffer. In response to our questions, Employment and Social Development Canada, the department responsible for the temporary foreign worker program, told us that "the Government of Canada takes very seriously its responsibility to protect the health and safety of foreign workers" and that they "enjoy the same rights and protections as Canadian workers." The Government of Canada has also indicated that strong penalties are imposed on employers who are found to be at fault and that, in cases where the health and safety of temporary foreign workers are at stake, "ESDC will quickly begin working with the appropriate authorities to leave the workplace and do everything in their power to help them find employment with another employer who complies with the rules of the Program. " Ramsaroop believes that if workers could form a union, they would be better protected, have better working conditions and could also speak more freely. The same goes for Santiago Escobar, a community worker with the United Food and Commercial Workers Union [UFCW]. Based in Leamington, he works closely with Mexican agricultural workers in the area. "There is a lot of multi-level exploitation because there are few ways to enforce the laws," said Santiago Escobar, community worker for TUAC. According to Gilles LeVasseur, professor of management and law at the University of Ottawa, agricultural workers have "the right to form an association to represent themselves, have the right to be represented by an individual who will speak for their benefit. .., but this is not an approach related to traditional unionization." He explained that a union can not be formed because farm workers are in Ontario on a temporary basis and would automatically lose their certification each time their license expires. The terms and conditions of Ontario's Employment Protection Act, 2009 and the Ontario Employment Standards should, in theory, be sufficient to protect workers. LeVasseur explains that Ontario's laws are matters of economic performance, productivity and production costs. 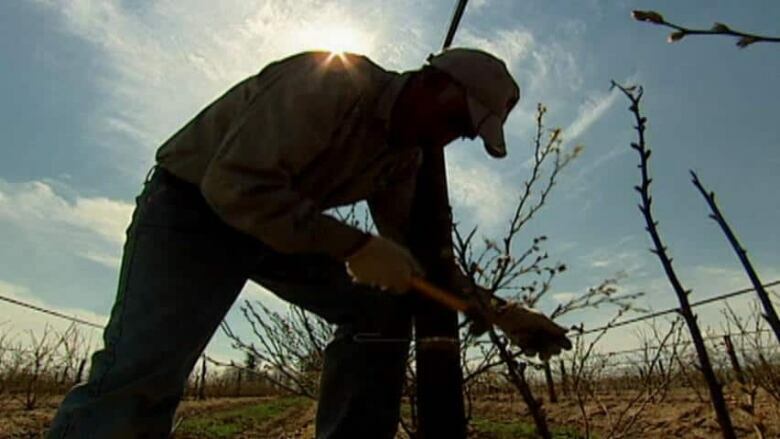 If farm workers were unionized, the costs that this would entail would no longer justify the economic benefits of the seasonal farm worker program. "These are people who are there temporarily. Conditions that protect them with respect to safety and certain working conditions have been planned, but we do not want them to become a tool that increases wages so much that [the program] is no longer worthwhile economic," said LeVasseur. According to the professor, "having fewer workers or increasing the payroll would mean that production costs are no longer competitive, especially when you have contracts with American companies that can provide fruits and vegetables on an ongoing basis." Ramsaroop believes that Canadians are not sufficiently aware that the Ontario fruits and vegetables they eat are often harvested by workers who come thousands of kilometres away. "I think there is a story behind every fruit and vegetable in Ontario ... these are the stories of foreign workers who, like you, have families and are sacrificing a lot to come to Canada," said Ramsaroop. Behind their reality of seasonal agricultural workers, the three men we spoke to are primarily fathers who are suffering from missing important events in their children's lives. 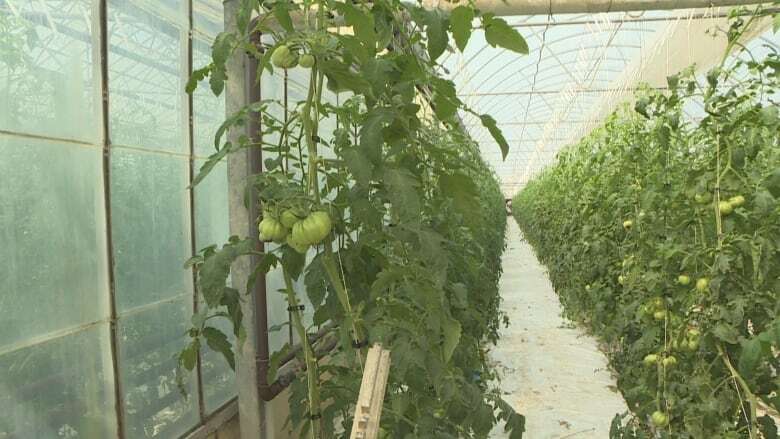 According to the Ontario Fruit and Vegetable Growers Association [OFVGA], fruit and vegetable production in the province generates revenues of more than $ 4.2 billion. It also hires more than 30,000 people annually on farms across the province.